Here's the card I made using the sketch for my blog candy ***see post below***!!! All stamps are from DRS Designs. I used the easy ladybug backgrounder to make some of my own dp. I watercolored them w/ real red and tangerine inks, the leaves are colored w/ my celery marker. 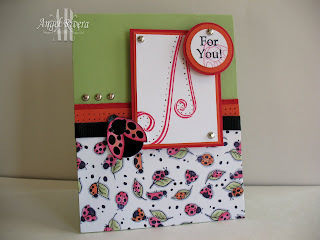 The ladybug ribbon slide and sentiment are *new* from DRS Designs. Added some piercing and brads to finish it all off. Thanks for stopping by and don't forget to play along for some ***blog candy***!! I hope you all have a wonderful day enjoying time with family and friends and, of course, good food!!! 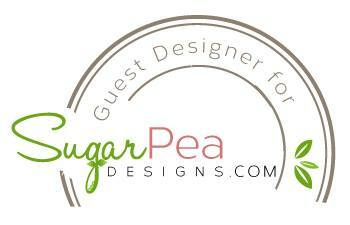 is posted over on the DRS Designs blog!!!! Go check it out!!!!! This challenge is to find different ways to use the postage frame/envelope art stamps. At first, I was totally stumped, but after thinking for a bit, it hit me ~ GIFT TAGS!!!!!!! These stamps are the perfect size and I just *love* this one w/ the holly leaves, berries and bells. 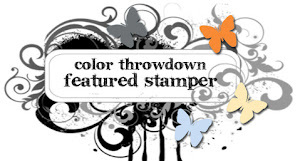 DRS Designs has LOTS of great sentiments that are the perfect size for these stamps, so it was supah easy to find one for the center of this stamp. I colored everything w/ SU markers, used a silver gel pen on the bells and added some holly stickles down the center of all of the leaves. I cut out the image, then adhered it to the green layer. I used my rectangle nesties to cut out the red, then just slapped it all together and added some silver cord. DONE! Now I just need to add the "To" and "From" to the back. Go check out the DRS blog (link over on the right!) and see what the rest of the team came up with! Thanks for stopping by! 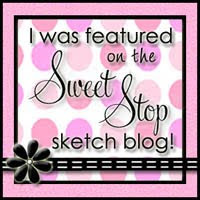 Blog candy and a sketch! The popular Martha Stewart branch punch and 2 Studio G clear stamp sets. Forgive my rather "unprofessional" attempt at doing a sketch. It just waasn't cooperating, but hopefully you get the idea!! I'll post my sample tomorrow since I won't be able to get a good pic of it tonight. 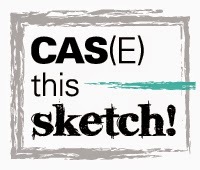 Ok, so if you want a chance at the blog candy, just make a card using my sketch here (if you upload to an online gallery, please use the keyword "arsketch02") and then leave me a comment w/ a link to your card. I'll close the contest next Sunday, Nov. 39th at 9pm CT, then I'll have one of my rugrats draw a number for the winner (I promise it'll be legit!). Have fun with it and GOOD LUCK!!!!!!!!!! And come back later because I'll be posting my blog candy today!!!! 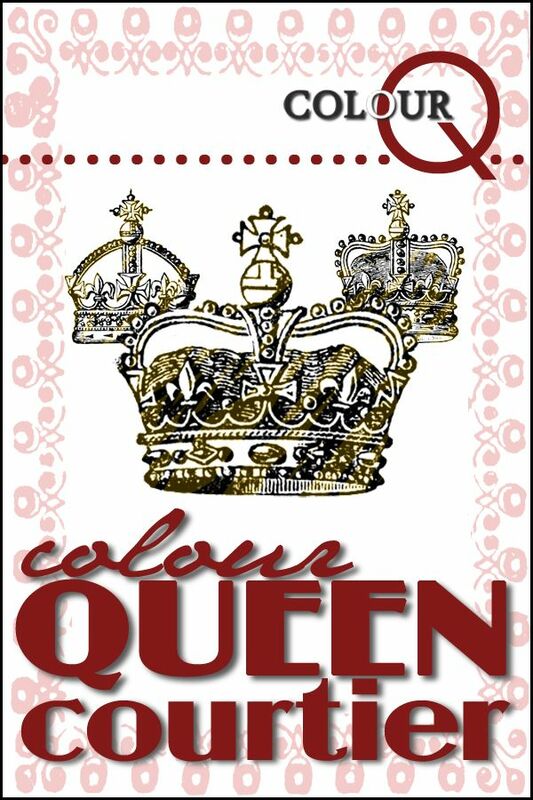 Here's a card I put together using this week's CC colors ~ red, black and kraft. I hadn't used this image from DRS Designs yet, so thought it deserved to be inked up! This was so easy to color in ~ I used a caramel marker for the houses, a red marker for parts of the candy canes and a white gel pen for everything else! 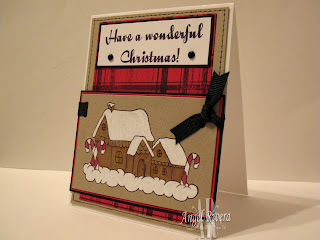 I used one of the plaid stamps, also from DRS, on the red layer for that extra *cozy* feel. And the sentiment, again from DRS ;}, is the perfect font and just says it all! A couple of brads, ribbon and some faux stitching finish it off! Hey, quick question for y'all, where can I find some polyshrink?? Michael's or Hobby Lobby? I'd love to get my hands on some! 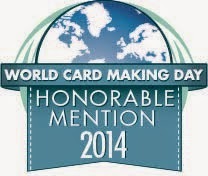 One of my PSFs, MissBoo, has nominated me for this award! She is one of the 1st people I met over on SCS and is one of the sweetest and most encouraging stampers you could ever know! Thanks, hon! 1. Winner may put the logo on their blog. Now the hard part ~ picking just 5 blogs to nominate! 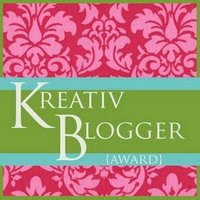 You know I could pick 50 more blogs to nominate, so if you're reading this, consider yourself nominated!!! Thanks for stopping by! That's right, time for another Elzy challenge! I decided to use this umbrella girl image since she had the largest open areas, I guess you could say, to do the paper piecing. 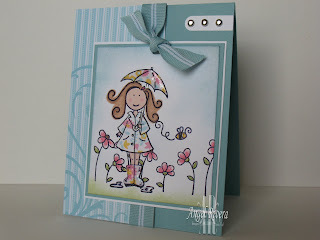 For her umbrella, raincoat and boots, I used some dp from the Sweet DCWV paper pack ~ *love* it! The striped/flourish dp is also from that pack ~ and it matches baja! I added crystal effects to the umbrella, boots and little water puddles. I masked her and stamped the bee/flowers stamp around her. All of the coloring was done w/ SU markers. I sponged baja and bashful around her for a little sky and celery on the bottom. I punched a whole at the top of the main layer and pulled the ribbon thru. To finish it off, I added a bit of ww punched out w/ my word window punch and added 3 silver brads. Now go to the Elzybell blog and see what the rest of the belles did for this challenge! card info: stamps ~ elzybells UK. paper ~ baja, ww, dp. ink ~ black, baja, celery. access. ~ markers, sponge, ribbon, punch, brads, crystal effects, white gel pen. Hi all!! Sorry for not posting in a while ~ went out of town w/ the hubby for a few days (work related, but we still had fun!). I haven't scrapbooked in so long, I was worried I'd forgotten how! I'm so glad this was our challenge this week over at the DRS Designs blog, so at least I can say I got Halloween 2006 done, right??! 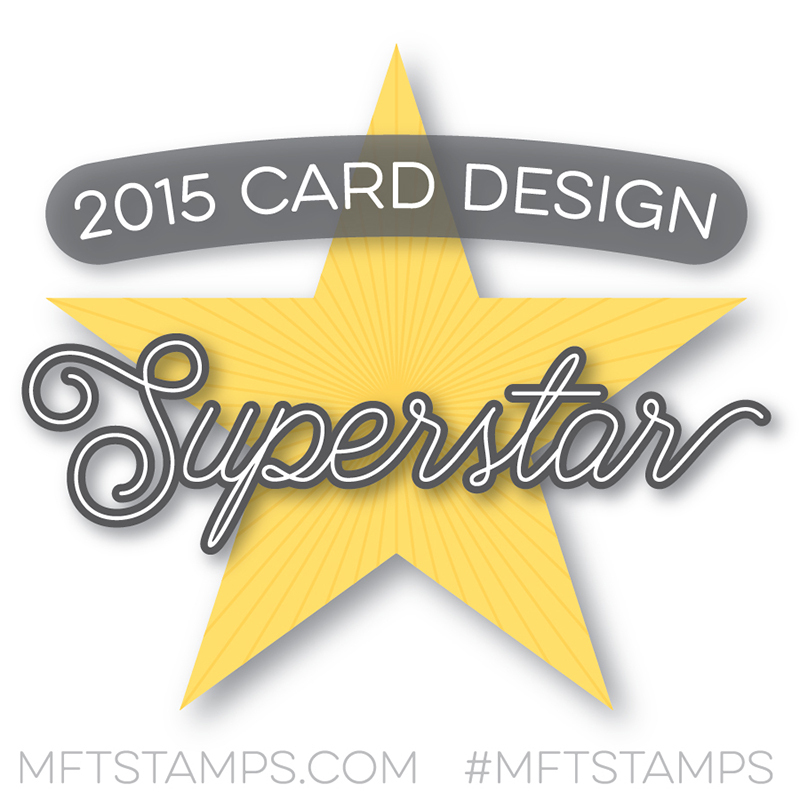 We wanted to show that DRS Designs stamps are so easy and versatile. 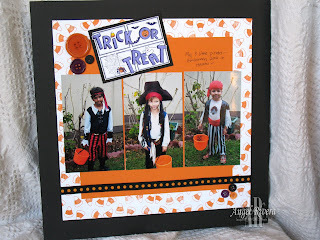 For my little pirates, I used the candy corn easy backgrounder stamp on the white layer. I then used the Trick or Treat stamp as my title and layered it on black. Doesn't get any easier than that!! I added some buttons and ribbon to finish it off. Thanks for stopping by! 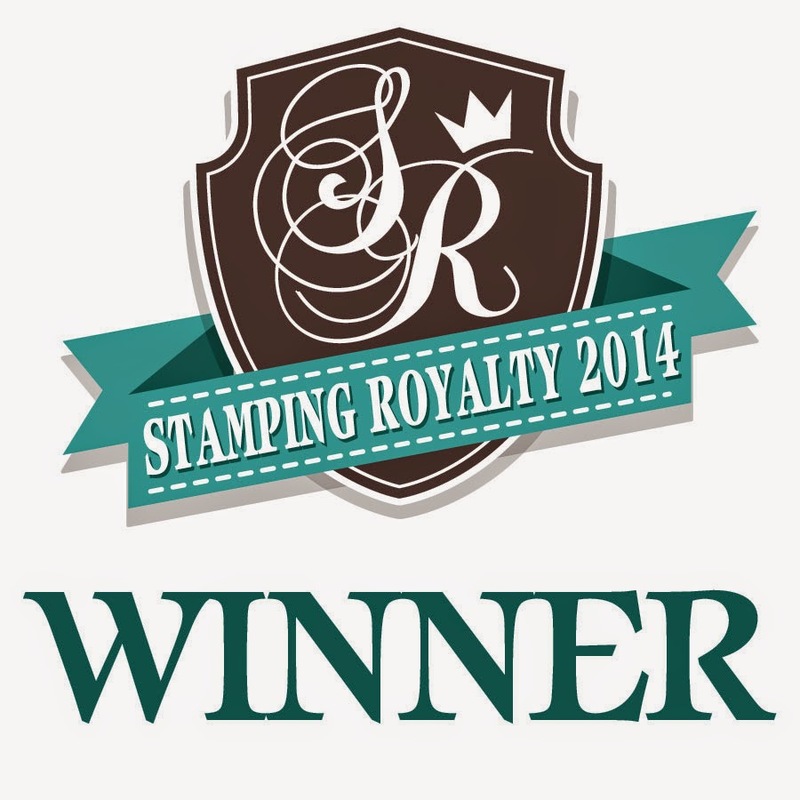 page info: stamps ~ drs designs. paper ~ black bazzill, text ww, pumpkin, ww, black. ink ~ pumpkin, black. access. ~ markers, ribbon, buttons.